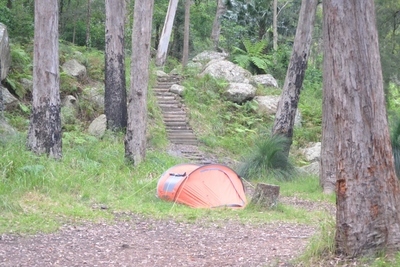 The Watagan Mountain range is the closest real bush playground to Newcastle for lovers of camping, 4wding, hiking; wild life, trail bike riding or any other activity associated with a large National Park/ State Forest. It's only a short drive from Newcastle, Sydney or the Central Coast, so it makes for the perfect weekend getaway or even a great day trip. For those that are visiting the area from afar the Watagans make a great base to set up camp and see all that the area has to offer. You can visit places like the Newcastle, Stockton Sand Dunes , the Hunter Valley, Lake Macquarie, and Port Stephens and still be back at camp in time to cook dinner in the daylight. 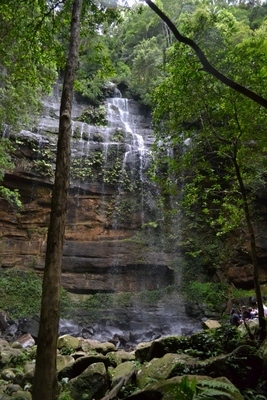 The Watagans encompasses the Watagan, Awaba, and Onley State Forests as well as the Jilliby State Conservation Area to the south and the Watagan National Park. 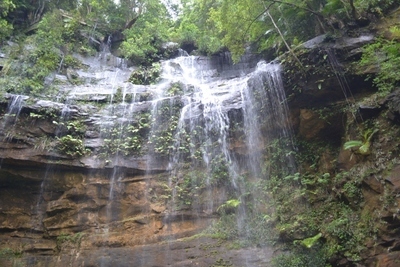 Parts of the Great North Walk run through the Awaba State Forrest which is only just south east of Newcastle. These are all regrowth forests and some have been harvesting timber for over 150 years. The highest point in this mountain range is Mount Warrawolong which rises to 641 metres above sea level. 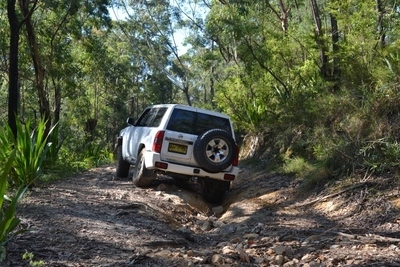 Access to the majority of campsites in the state forest is easiest via Watagan Forrest Road, Martinsville and most can be accessed by both 2wd or 4wd vehicles and are suitable for camper trailers. 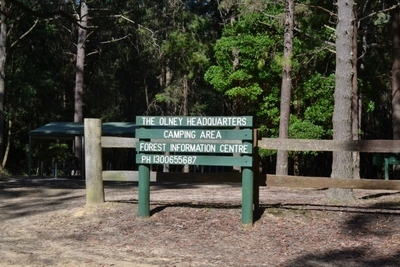 The Onley Headquarters, Turpentine, The Pines and Casuarina camping areas all offer toilet, tank water and barbecue amenities and are set amongst tall pine and eucalypt trees with grassed areas for camping. The National Park offers a slight contrast in landscape ranging from tall eucalypt ridges to deep rainforest gullies which make for some spectacular wild life and sight-seeing. 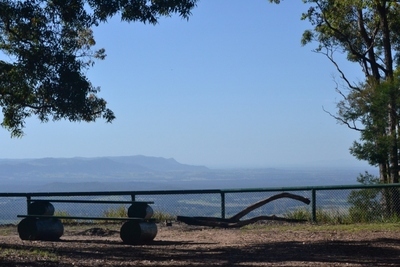 Gap Creek campsite is located on Monkey Mountain in the National Park and the best access to this campsite is via Mount Faulk Rd which runs off Freemans Drive a 4.6km drive from the F3 exit towards Cooranbong. This camping area although smaller than some of the others, is more secluded and offers pit toilets, tank water, and barbeque facilities. But its greatest attraction is Gap Creek Falls. Only accessible by foot, the 850m walking track takes you through dense rainforest and zigzags down into a steep gulley to the falls. The last few hundred meters, although quite steep can still be done with small children provided care and patience is exercised. Give yourself a good couple of hours if you have little ones in tow as the walk out will be slow. 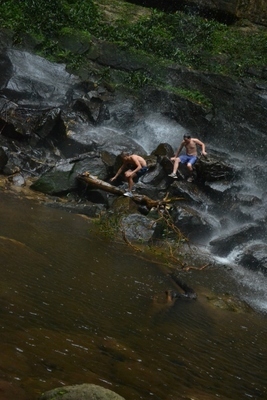 Not a lot of sunlight gets into the gully so swimming on all but the warmest of days is reserved only for the brave; however viewing of the falls is best seen after heavy rain. It is then that these falls come alive with a spectacular show of light and sound. If mountain bike riding tickles your fancy then check out the Awaba Mountain Bike Park at the foot of the mountain on the way up Mt Faulk Rd or if you enjoy trail bike riding or 4wding there are a maze of tracks that provide kilometres of challenging clay hills and deep ruts. Keep in mind the National Parks and State Forest roads are classed as public roads so you will need license and registration and it always pays to check with NSW Parks & Wildlife or State Forests for track closures or any permits that are required for the area. 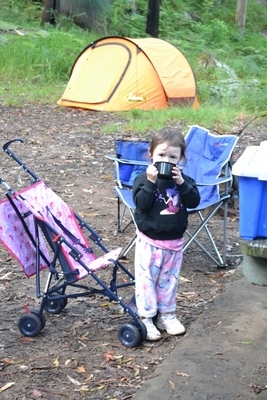 The Watagans offer some great mountain wilderness and top class camping facilities all within a short distance to the state's two biggest cities and you don't need a 4wd to get there. So start packing cause you've got a camping trip to plan. 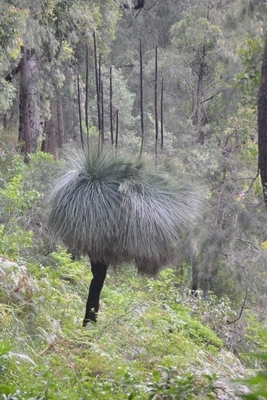 Highly recommended place to visit for a bushwalk.